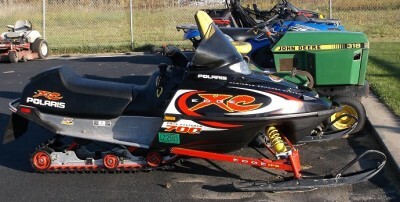 Pre-owned 2004 Polaris XC Edge 700 Black Snowmobile. Unit is pre-owned with just over 4600 miles on it. Features include Horizontal In-Line engine, heated hand grips, pull starter and many more features. For more information call Ball Equipment in Sandusky MI 810-648-3510 and ask for Sales Staff.